Plotted Half Return Loss is all over the place, and it is clear from the chart that estimating MLL from HRL will not give the expected response of MLL increasing roughly proportional to square root of frequency for this cable at these frequencies. The method fails on this data. A variation of the HRL rule is to take HRL for either an O/C section where phase of S11 is 180°, or for a S/C section where phase of S11 is 0°. Marker 1 is at such a frequency, so lets consider that ‘improved’ algorithm. 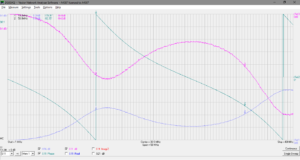 HRL=0.24dB for the O/C case, specification MLL for the section is 0.09dB. Not a good estimate alone. 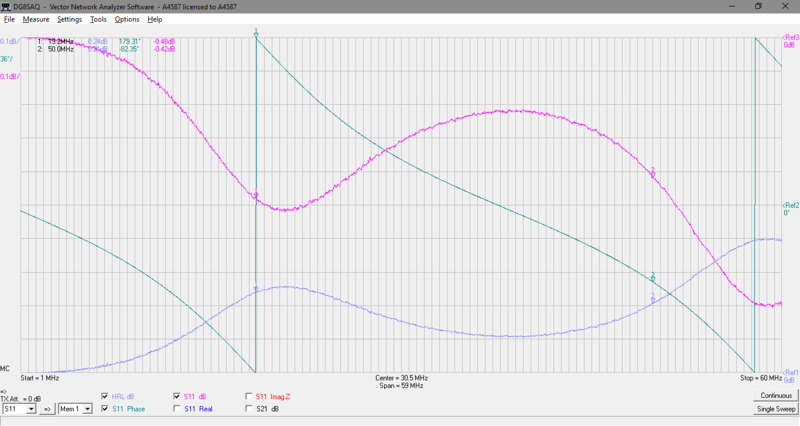 HRL=0.12dB for the S/C case, specification MLL for the section is 0.09dB. Not a good estimate alone. So, these methods fail miserably on this data. 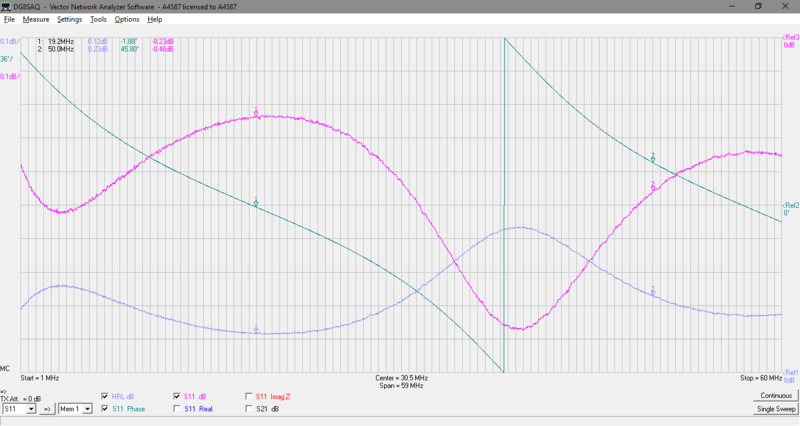 Taking the values at Marker 1 (19.2MHz), HRL for O/C is 0.24dB, and for S/C is 0.12dB. Witt’s calculation would give MLL=(0.24+0.12)/2=0.18dB for the section. This is twice the expected MLL for this cable type (0.09dB) for the section. Witt’s method fails miserably in this case. (Duffy 2012) shows that Witt’s method can provide a reasonable approximation where the Zo error is very small (such as the difference between nominal and actual Zo of a practical line at HF and above). 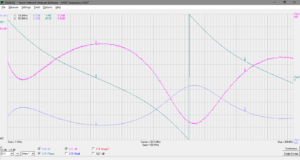 This case study shows that even a small difference between actual Zo of a line section and the Return Loss measurement basis can result in gross error in the estimated MLL. Even though these methods are common, and recommended in manuals for many instruments, they demand competent use to achieve reasonable accuracy. Duffy, O. Jul 2012. Estimating Matched Line Loss from Return Loss.